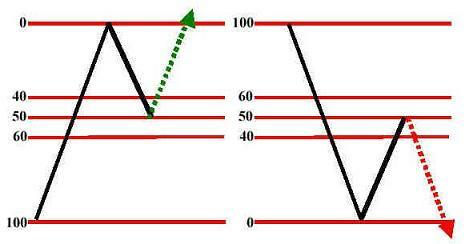 Fibonacci retracement levels are important tools for analyzing of stock trends. It can help a lot to tell how other players on financial markets see current situation. 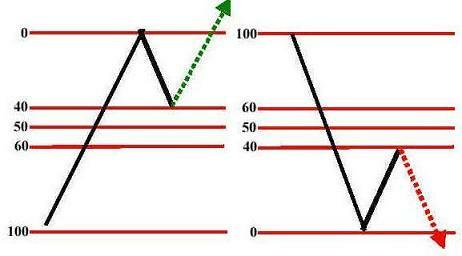 When you watch a trend move on any technical chart, you can see that every trend move has breaks. Such a break is a move against the direction of main trend. The strength of this pullback move is a good custom indicator in stock chart analysis. It can help us predict the future trend in prices of stock. These levels of pullback in a stock trend are often natural support levels. It is good to see that some pullback came back to a horizontal price level that is also important value presented by this Fibonacci technical analysis indicator. When a pullback finishes at the 40% level of the previous trend move, then you can expect that the trend is intact and after few days of consolidation it will resume again. The trend is intact. You can expect restoration of the previous trend. This is already a relatively deep pullback. Heads up! The previous trend is in danger and can be finished soon. The trend is finished. Do not expect continuation of the previous trend. You can expect something like a double-top or double-bottom chart pattern or development of a new trend in the opposite direction. Do not expect that the price stops exactly on the level value. Expect a much larger price zone for any pullback. A tool called the Fibonacci is available in every good stock chart analysis software.